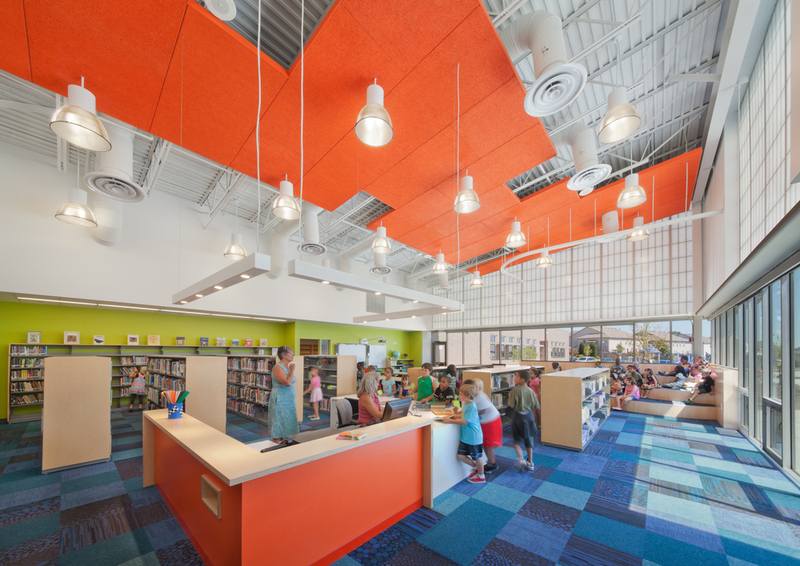 This new K-5, three-strand elementary school was relocated to a neighboring community to be closer to the homes of its 425 students. 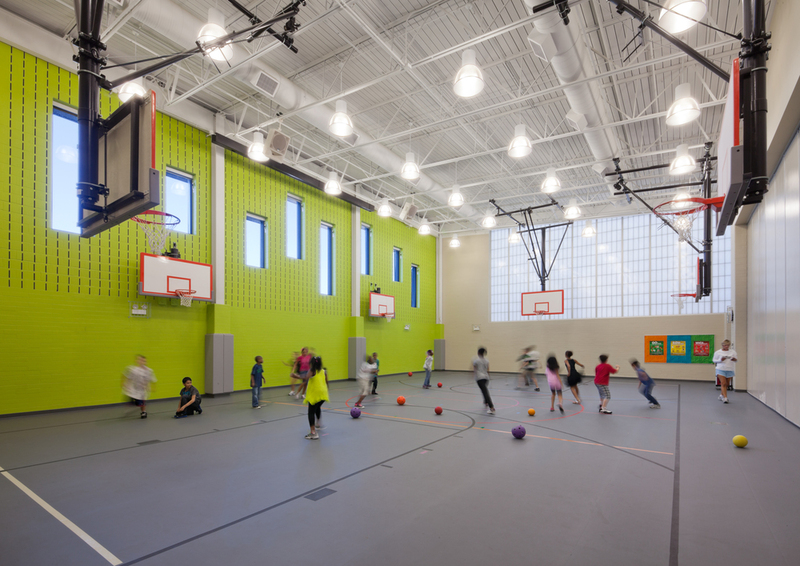 The design of the 63,024 sf school evolved over a series of workshops in a collaborative design process with students, parents, teachers, board and community members. Each grade’s home-base is designed as a flexible learning environment with the ability to adapt to different teaching and learning styles. 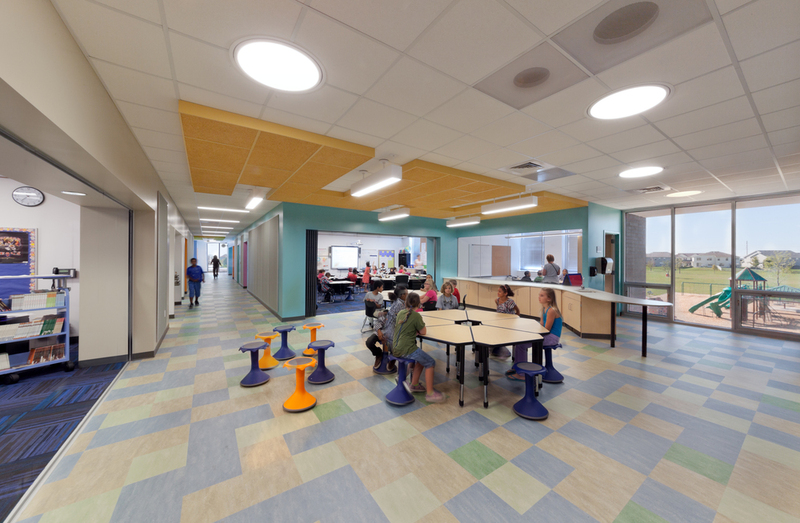 Three classrooms are clustered around a collaboration area and are equipped with a partially transparent operable wall so all classrooms are capable of engaging in a single activity. Each collaboration space is equipped with additional resources, technology, access to the exterior, and a conference room for small, more private discussion and instruction. 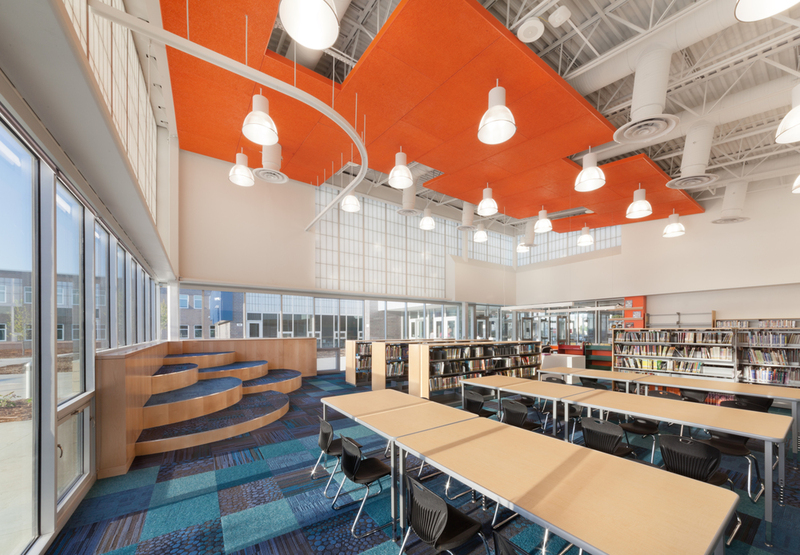 Carrie Busey is home to the District’s deaf and hard-of-hearing programs which required the design to address unique planning, materials, and technology challenges to minimize noise, disruption, and distraction. Achieving LEED Gold certfication, the building features energy efficiency strategies including geothermal HVAC, solar thermal hot water heating, daylighting, and high performance envelope and lighting solutions designed to achieve 50% energy reduction. Energy and sustainability goals were established early in the process, resulting in several grants to off-set incremental costs. How can we create an environment that adapts to unique teaching and learning styles?